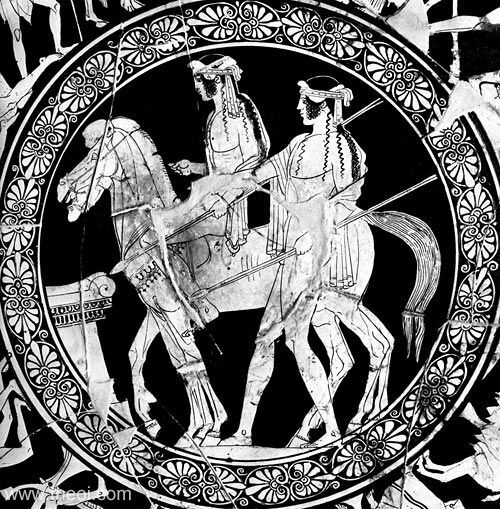 Tondo: The Dioscuri twins, Castor and Polydeuces, march on Marathon to recover their abducted sister Helen from Theseus. The pair are depicted as horsemen armed with spears. Interior: The labours of Theseus (not shown).